Ecology’s Hesperia Recycling Center proudly serves the residents and businesses of Apple Valley with easy access to recycling. For scrap metal or CRV recycling, our recycling location is the perfect drop off point for Apple Valley area residents. We welcome both small and large amounts of residential or industrial recyclables and scrap at the facility. In addition, we’ve specially designed the center to make it user-friendly. Quick compensation is provided for your recyclables and the drop off is clear and simple, making recycling a doable part of your busy life. Placing recyclable items in the trash can cause more pollution because they are placed in landfills or incinerators. 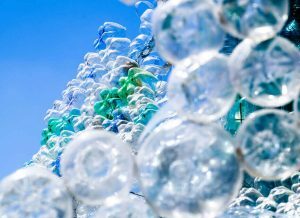 Products created from recycled materials are more environmentally friendly because they eliminate the need for mining new materials. Toxic waste and gases are reduced, ensuring that our water and air sources are clean. 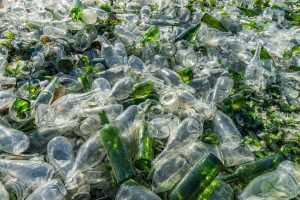 The second reason that recycling is a good idea is that it pays! Some scrap metals are quite valuable and can earn you substantial sums of money. CRV materials can be redeemed and in bulk can also add up to an impressive compensation when you compare it to letting them go to waste. Scrap metal recycling is how we make use of old metals again. What qualifies as scrap metal? Any metal that is no longer useful and is unable serve its original purpose. 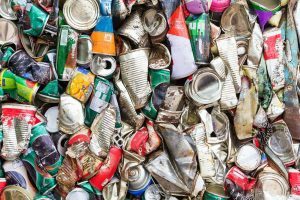 Old appliances, car parts, wiring, old bicycles, hardware in houses, industrial scraps and more are some examples of commonly found scrap metals. However, not all metals are the same and not all have the same value. The majority of scrap metal can be recycled, but they do have different uses and so must be separated before recycling. Typically, the first and most important classification sorts scrap metals between ferrous metals and non-ferrous metals. These metals are magnetic. The main components are usually iron and steel. Ferrous metals may also contain other elements that may have been mixed in, but iron and steel are the greatest components. Ferrous metals often come from pieces of old vehicles, old appliances, demolition scrap, structural steel or metal offsets from manufacturing warehouses and industries. Ferrous metals are typically easier to process than non-ferrous metals. This is because of their magnetic properties, allowing scrap sorters to use giant magnets to pull away ferrous metals. For this reason, ferrous metals have lesser values than non-ferrous metals. However, this doesn’t mean you shouldn’t recycle your ferrous scraps. In addition to the financial compensation, no matter how small it may be, you’ll also gain the satisfaction of knowing that you’re contributing to the preservation of Apple Valley’s environmental resources. The most obvious difference in non-ferrous metals from ferrous metals is that they are not magnetic. This also means that they don’t contain iron or steel. Stainless steel is the one exception. The name would make you think it’s a ferrous metal, but it’s actually categorized as non-ferrous. Some common sources of non-ferrous metals are window frames, household hardware (plumbing), wires, bicycle frames, and some car parts. These metals often earn a higher compensation than ferrous metals. CRV materials such as aluminum cans are also included in this category. Some non-ferrous metals accepted at our recycling location include: copper, aluminum, brass and tin. CRV stands for “California Refund Value”. 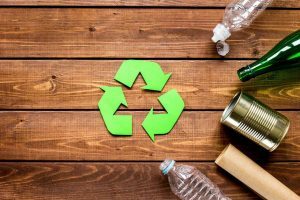 This is a California regulation that was created to incentivize consumers financially for taking in certain recycling items to certified recycling centers. This helps encourage both private citizens and businesses to recycle. 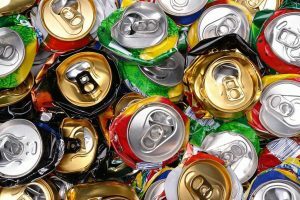 Some examples of items that fall under this regulation include: soda, beer and juice cans, vegetable juice cans, wine bottles, etc. This packaging is often made of aluminum, plastic, glass and layered metal. Packaging is usually included in the cost of whatever CRV item you purchase. By recycling CRV approved items, you can redeem this money back through the refund value. Small amounts of CRV are usually processed with a price per piece. However, larger loads of 50 pieces or more will be weighed. At our recycling facility conveniently near Apple Valley, we ask that you please bring in clean and dry containers. 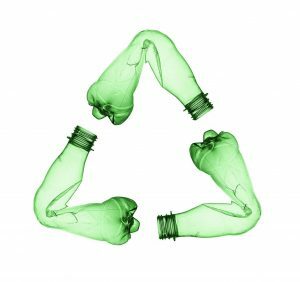 Here at Ecology, we’re committed to helping both individual citizens and businesses in their recycling efforts. Our recycling center is designed to serve the entire region of the high desert including Apple Valley. 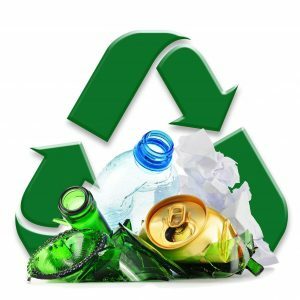 Our facility is conveniently located to make recycling trips easy and convenient for all residents in this area. As a special service to industries, businesses and corporations that recycle larger quantities of scrap metal and CRV, we offer roll-off bins that we deliver straight to your property. Once full, we pick up and haul away your recycling, leaving you a new empty bin. We have a variety of sizes available depending on the needs of your organization. Please do contact us if you have any questions about our policies regarding any items you wish to drop off. The town of Apple Valley is nestled in San Bernardino County on the southwest edge of the Mojave Desert. Along with the rest of the region, Apple Valley is known for its semi-arid climate. Apple Valley earned its name with a history of apple orchards that flourished in the region. Ecology is committed to serving residents and businesses of Apple Valley through our nearby recycling center. Our user-friendly setup makes our facility capable of handling both household and industrial recycling. Give us a call to find out more about our recycling rates for scrap metals and CRV. We look forward to helping you meet your recycling needs soon. Welcome to our Hesperia location! Closed toe shoes are recommended.